Patio vs Deck: What Is The Difference & What Is Right For You? 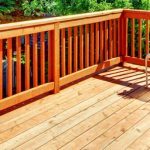 Patio vs Deck: What Is The Difference? Patio versus Deck: What’s the Difference and Which One is Right for You? Two commendable outside rivals. One troublesome inquiry: Patio or Deck? If you are looking to develop your homes outdoor living space then you need to consider what is best for your home, a patio or a deck? Though often considered the same there are a few major differences between patios and decks and it is important to understand the distinction between a patio and a deck before you choose one over the other. An open porch outside or stage without a rooftop that reaches out from the house is considered a deck. A porch, on the other hand, is a cleared region arranged straightforwardly on top of the ground, that may be connected or isolated from the house. Understanding the difference between a patio and a deck, allows a consumer to better educated on what system is best suited for their needs and the needs of their home. A patio is a cleared territory arranged straightforwardly on top of the ground, that can be attached or detached from the house. The resale value of a deck is higher and increases the home value by a larger amount. There’s an 87% rate of profitability for all wooden decks. A custom deck has a much higher value to a property when compared to other indoor house renovations. Functions admirably on uneven terrain/ground. Decks can be used on a land, regardless of the possibility that your ground isn’t leveled. More useful on a property with a good view; as a deck is worked up from the ground, it gives a superior view, that builds your home’s value. Effortlessly adaptable: a wooden deck or some vinyl decks can be painted or recoloured to better match the exterior of the home. Agreeable in warm weather: If you live in a warmer climate, or enjoy warm summer months your house gets a great deal of daylight, most decks actually assimilate and hold heat. More upkeep: contingent upon which type of decking material is used, the decks should be control washed, recolored and fixed every second year. Shorter life expectancy: especially wooden decks, wood is usually vulnerable to climate and can decay after some time, and blur and become stained if not treated. 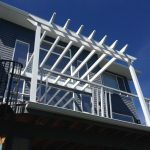 Numerous towns and urban areas have laws, rules and require a permit prior to installing and constructing a deck, that means an expense and hold up period. Quite expensive: the cost of a deck relies on the material, but decks are typically more costly than patios, with a normal thirty dollars per square foot for the top of the line decking materials. Weight limitations: consider weight with regards to the outline of the deck, particularly when you need to include a hot tub or entertainment area. Porches are generally closer to ground level and are easily able to add privacy when needed. A quality patio can last over twenty-five years and are relatively easy to maintain year after year. Patios don’t require any customary support. Though you may seal your yard, it’s a bit much, since stone porches are solid and durable. Installing a patio often doesn’t require a building permit or inspection. Lower cost: Introducing a porch on the ground could cost a great deal, but not as much as a deck. Approximately $5 for one square foot, the concrete is generally the least costly option. Is not recommended for uneven terrain. Patios are often used on level ground. The expense of making a leveled terrain is often quite expensive. Inclined to splits: The risk of a patio splitting is much higher than a deck. There is a risk that the dirt or soil below was not leveled properly causing splitting. Splitting is a concern in Calgary due to the frequent changes of climate. Slipping hazard: in a colder climate, ice can stretch the frame of a porch’s surface and increases the danger of slipping or falling on the ice. It is vulnerable to stains: when a patio surface gets stained with a drink, food or normal substances it can be difficult to clean. Patios may need more work/time to build and maintain especially if your property has uneven ground. In the event that you build a patio or a deck for your home, it is recommended that you work with a professional. Both patios and decks are great home improvement projects to increase the value of a property and add to an outdoor living space. 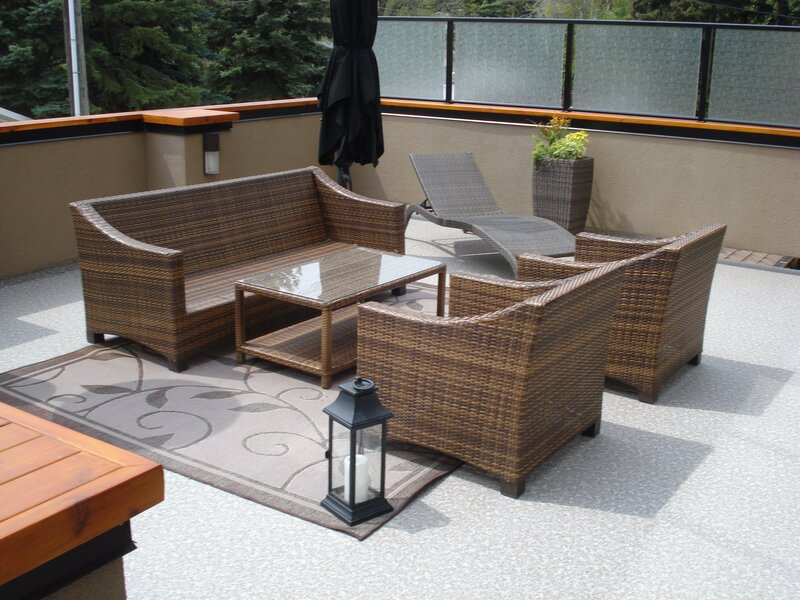 Working with a patio or decking contractor can minimize the disadvantages and ensure a quality finished product.